Canadian connections run deep in an historic altar cloth that is the centrepiece of a display at London’s famed St. Paul’s Cathedral to mark the centennial of the First World War. By the time Lance-Cpl. 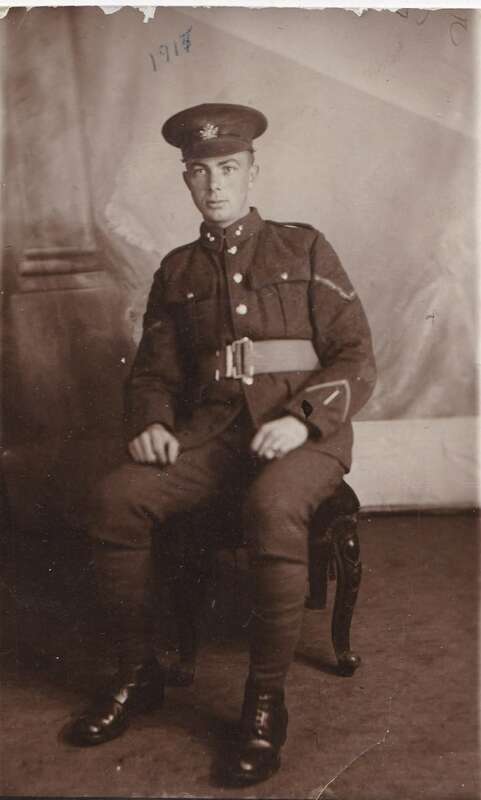 James Ernest Muth sailed from Britain back to Canada in the spring of 1919, he had suffered gas attacks and shrapnel wounds. Having fought from Vimy Ridge to Amiens, he returned home to Ontario with painful memories of the Great War. As traumatic as those experiences were, efforts to help him overcome the strain of what he had endured also gave him an unlikely skill: the ability to do intricate needlework. Like many other British Empire soldiers injured in the First World War, Muth was hospitalized in England. 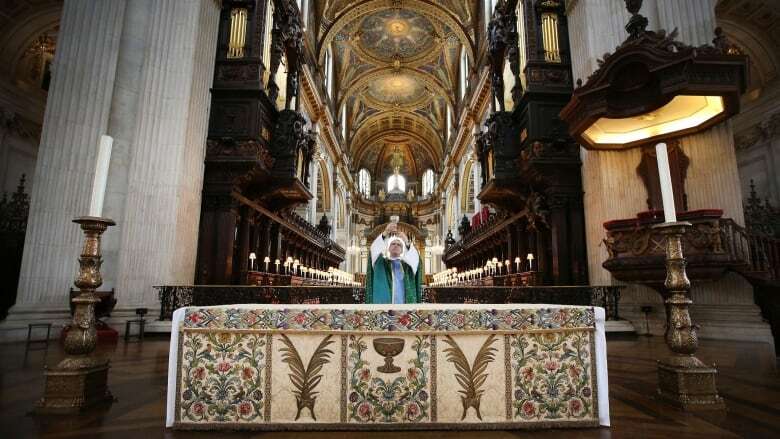 While recovering, he was introduced to stitching by women from Britain's Royal School of Needlework and helped make an embroidery that found a home on the altar at London's famed St. Paul's Cathedral. "Both hands were terribly wounded and it was good therapy," his son, Malcolm Muth, said at his home in Port Dover, Ont. The altar cloth was long feared destroyed. Now, its history is being stitched together piece by piece and a volunteer historian at St. Paul's is finding the Canadian connections run deep. "My latest research is suggesting that the first embroiderers to begin work were Canadians," said Jane Robinson. Today, the colourful, three-metre wide embroidery sits behind glass in a wooden frame marked "lest we forget." It serves as the cathedral's main display commemorating the centennial of the First World War. 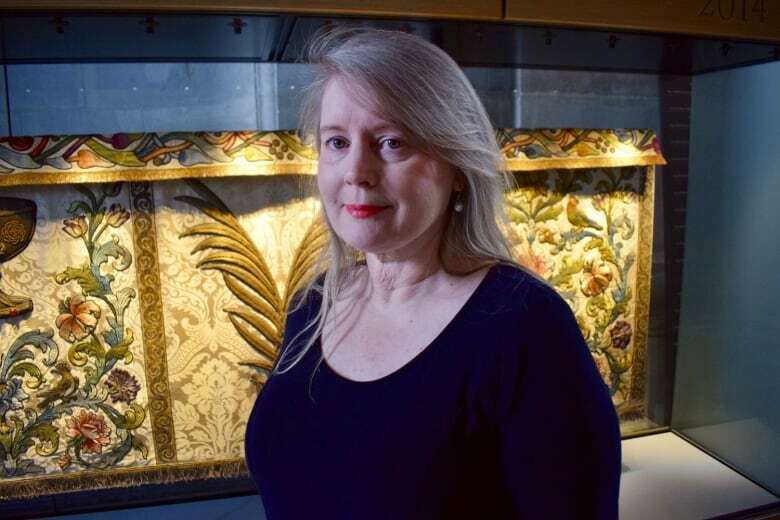 Robinson, a member of the organization Friends of St. Paul's Cathedral, has spent the past four years researching little-known details of the embroidery's past. "Much of the precise history behind the making of the altar frontal … is, sadly, lost to time," Stephen Barnard wrote in a 2016 book, From the Hands of Heroes, published by Memory Lane Media. The embroidery is the work of 145 First World War servicemen from Britain, Canada, Australia, South Africa and New Zealand. Wounded in battle, they were taught in hospitals across the U.K. to stitch as a way to improve dexterity and overcome post-traumatic stress disorder. "The convalescing servicemen at the military hospitals - all dressed uniformly in their 'hospital blues' of a blue jacket, blue trousers, a white shirt and a red necktie - would find solace, inspiration and a measure of pride," Barnard wrote. "The act of sewing would add focus and purpose to their recovery, while improving their hand co-ordination and allaying boredom and melancholy." Muth embroidered a yellow tulip while other soldiers stitched birds, flowers, a chalice and other motifs. 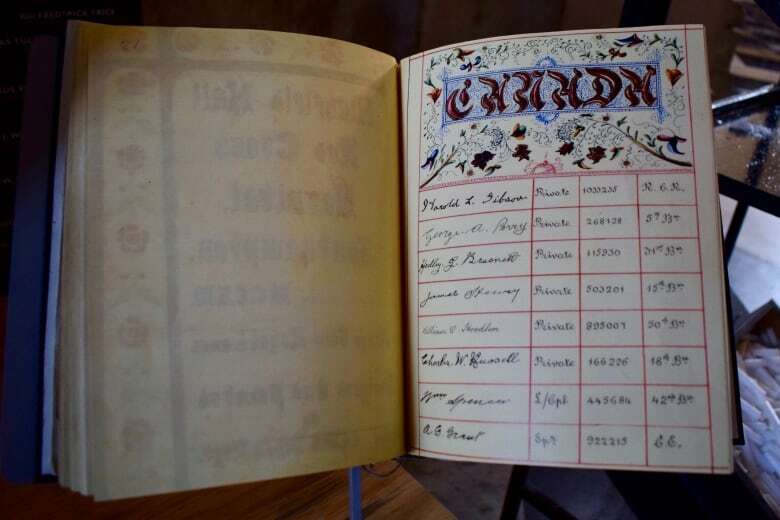 At least 16 Canadians contributed to the altar cloth, according to signatures reproduced in a memorial book on display at St. Paul's. The Royal School of Needlework in London pieced together the stitchings collected from hospitals across Britain. "Women are … the hidden heroines of this story," Barnard told CBC News. They're credited as the volunteers who helped the soldiers learn needlework. "These women were never really acknowledged," Barnard said, "because we don't know who they are." The cloth was spread across the altar at St. Paul's ahead of the U.K.'s post-war national service of thanksgiving in 1919, attended by King George V.
Robinson suspects the family of another Briton familiar to Canadians was behind the project. "The latest research suggests that it was a gift from the Stanley family," she said, alluding to Arthur Stanley, the son of Frederick Stanley. Frederick Stanley was the same British-born governor general of Canada from 1888 to 1893 who gave North American hockey its top prize. Stanley's wealthy family donated the piece to St. Paul's when it announced plans to dedicate a chapel to honour British Field Marshal Horatio Kitchener, Robinson believes. 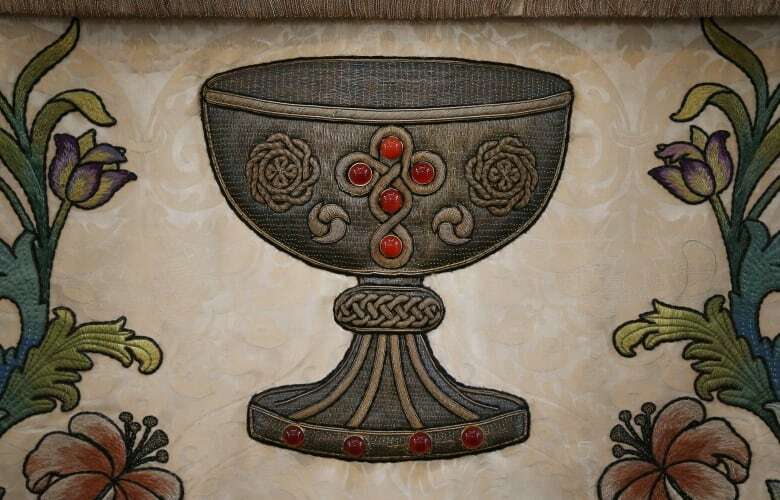 "They decided to put together an altar frontal in the hope that it would actually be used in the chapel," she said. James Muth's son Malcolm recalls hearing his father talk about "how much he'd learned and how he'd enjoyed it." After further recovery in hospital in Burlington, Ont., in 1919, James Muth took up carpentry. His son says the embroidery therapy "gave him dexterity." "He became awfully good with his hands," Malcolm Muth said. James Muth died in 1976 believing the altar frontal had been lost. In the Second World War, Germany's relentless aerial bombing campaign devastated London. The Blitz left part of St. Paul's Cathedral in ruins and destroyed the altar. For decades, the Muth family wasn't aware that the altar cloth had been put away for safekeeping and was not damaged during the bombing. 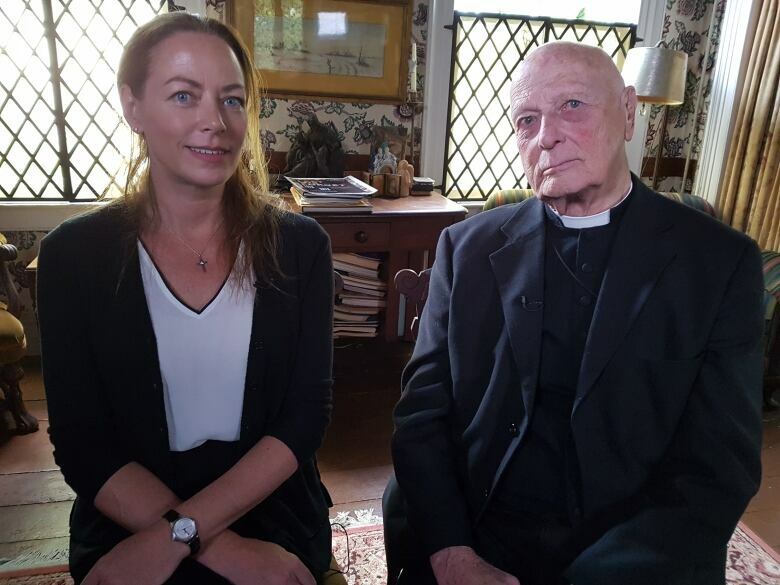 But in 2014, James Muth's granddaughter Anna Alonso received an email from St. Paul's about her grandfather's involvement in the altar frontal and how it had been kept safe. "I couldn't believe it," she said. "It was astonishing." 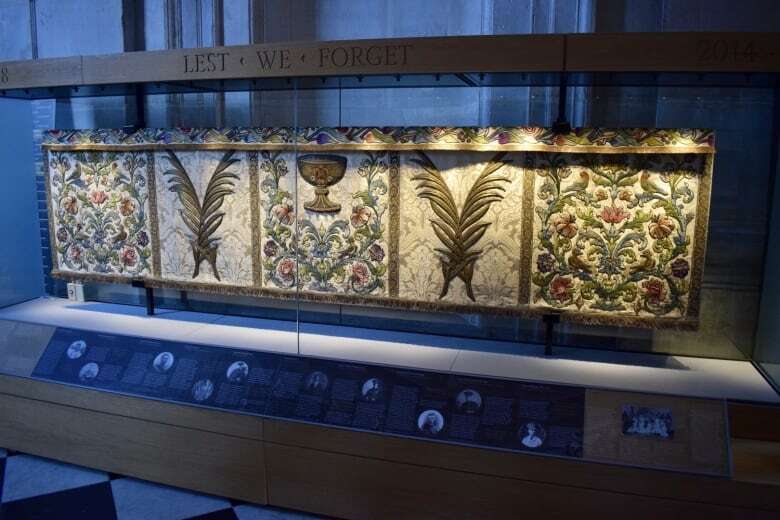 The embroidery was restored and put on display again in 2014 to mark 100 years since the start of the First World War. "I don't think we think enough about the people who came back with those terrible scars and wounds, both mental and physical," said Rev. Canon Michael Hampel, who delivered the sermon at the 2014 rededication service and plays an outreach role for the cathedral. "Here we have something which they were able to focus on to create, to lift them out of the awfulness of what they'd experienced," he said. Alonso and her brother James Muth — a Royal Canadian Regiment lieutenant-colonel who was named after his grandfather — travelled to London for the rededication service. "To stand before it and see it is a really emotional thing," Alonso said. St. Paul's will use the embroidery again as an altar frontal at a special service on Sunday, 100 years after the armistice that ended the war. It's unclear, however, what will happen to the embroidery once First World War centennial commemorations are over. The cathedral only committed to keeping it on display until the end of this year. Its delicate nature may prevent the embroidery from being transported to Canada or elsewhere for display, Hampel said. But he says the piece will always be accessible to visitors in some way. "Something of great beauty coming out of such great pain is something very important for us to remember." Thomas Daigle is a journalist for CBC News based in London.